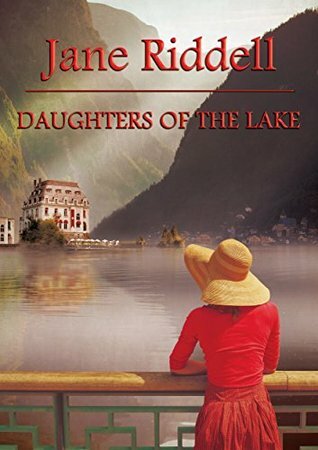 Daughters of the Lake is a contemporary family drama set in Switzerland. Madalena invites her four adult children to celebrate her hotel's fortieth anniversary, unaware of their tensions and secrets. As the day of the celebration approaches, confused emotions take hold, and the occasion goes badly wrong. Set against a backdrop of mountains and lakes, this is a story of love, betrayal and family conflict. Upon reading the first paragraph, I immediately liked the excellent style of writing. "Vienne's silence rebuked her as she awaited an answer; the tick of the grandfather clock sounded menacing; the harbour horn suggested impatience." I love learning new words. The author writes "the engines chuntered." Webster's dictionary says regarding the word "chunter" that it was first used in 1599 and that it means "to talk in a low, inarticulate way." Synonyms are "mumble, murmur, mutter." How descriptive to apply that to a train engine! This character-based novel follows the ups and downs of four highly dysfunctional siblings as they re-unite at a hotel owned by their widowed mother in Switzerland. The story focuses on the 3 sisters Portia, Vienne, and Annie. Their brother is almost a footnote in a way, hence the novel's title. It is 5 years after their father's funeral and they are meant to celebrate 40 years of the successful operation of their family hotel. It should be a happy family time, but, as often happens at such events frictions arise, tempers flare, and secrets big and small are revealed or kept. And a good time is not had by all. Twists and turns keep the reader turning the pages. My favourite person is Madalena, the mom, who is kind, loving, supportive, albeit full of self-doubt. Her four children, ranging in age from 35 - 41 are self-entered, whining, angst-ridden people. In other words, the author has succeeded in creating well-defined, complex, flawed characters that the reader loves to dislike. This is a tale of love, betrayal, intense feeling and high emotion, uneasy family dynamics. I highly recommend this excellent, well-written novel. Jane Riddell grew up in Glasgow, Scotland but defected to Edinburgh in her thirties, after living in New Zealand and Australia. For many years she worked for the NHS as a dietician and health promoter. In 2006 she took a career break to move with her family to Grenoble, France, for 3 years. During this time she wrote more seriously, so seriously that when she returned to Edinburgh, she decided to make writing her 'job'. 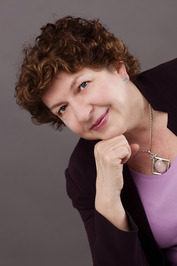 Sandra's Disclosure: Thanks to Jane Riddell for sending me this book for review. I was not compensated in any other way, nor told how to rate or review this product.